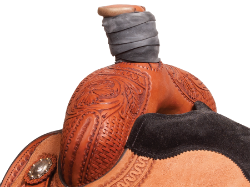 Prevent your rope from slipping on the saddle horn with a Dally Wrap. 12 individual Black 1 3/8" dally wraps are packed in a resealable plastic bag. A necessity for every roper!